OK, intermission. 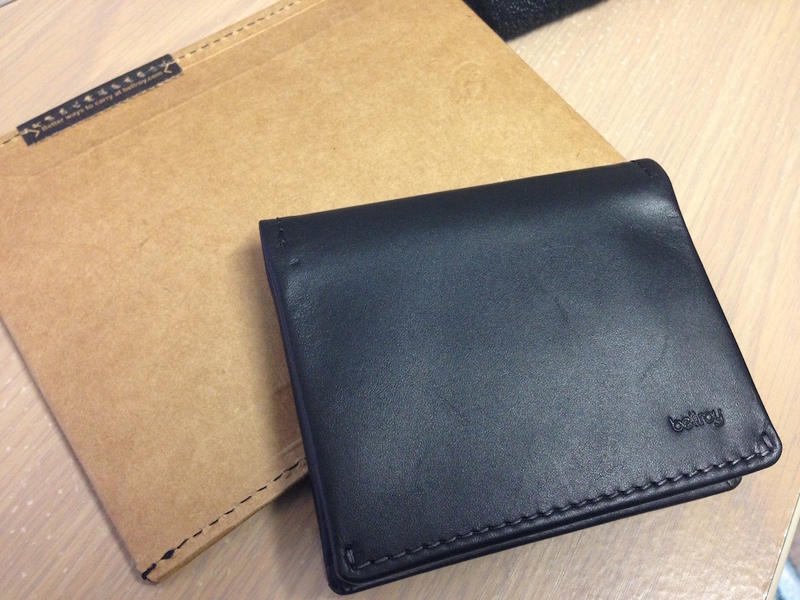 I picked up a Bellroy Slim Sleeve on a whim because a) Bellroy was just starting to become super-popular at the time, and b) I thought that being a grown-up meant having a leather wallet. Boy, was I wrong. I’m not sure what it was about the Bellroy Slim Sleeve, but it just wasn’t “me” — it was a great wallet, to be sure, but maybe it was because I wasn’t used to the leather. Either way, I on-sold it a few days later and picked up my third Dynomighty wallet in black. Previous Dynomighty wallets, right over here. For the longest time, I’ve been wanting a better backpack. I’ve looked at my own backpack and found inadequacies. Imagine how much more stuff I could carry if I went from 21-litres to, say, 25. Or imagine how useful some Molle webbing would be for attaching random stuff to the insides. Even in terms of variations on the backpack theme, depending on which backpack methodology you subscribe to you could choose to have little pockets so everything has its place, or have one giant space so you can practice tetris with the contents on a daily basis. In a way, I guess I’ve always been somewhat obsessed with backpacks, even if I didn’t really know it. After much regret over an ill-fated messenger bag purchase which cemented my distaste for the format, I was all about backpacks. It started, I think, with an STM Evolution, since STM was all that was readily accessible to me at the time. My Evolution has been replaced once due to a defective zipper, but it’s the kind of bag that will happily cart your laptop around and keep it safe, regardless of how much you’re throwing the bag around. I’ve been to Malaysia a couple of times with my Evolution, and it’s served me well. I have an Incase DSLR Pro Pack in the limited “black canvas” edition that I thought I was going to use when I started to get seriously into my photography, but honestly, it hasn’t been touched since I purchased it in December 2012. I’ll readily admit I’m a sucker for limited edition crap, but I’m sure it’ll come in handy one of these days. I don’t know when I got my current backpack, although checking email receipts says October 2013. It’s an Incase Campus which has since been discontinued. It’s not the biggest backpack around, but I think I remember buying it because I wanted something that wasn’t as bulky as my Evolution if I was going to cart my laptop to and from uni, or to and from work. And honestly, it’s a great backpack. A fine, perfectly OK, not-too-shabby, backpack. I can count on both hands the number of times I’ve used it to carry my laptop to and from work, but I’ve used it for pretty much everything else. It carries groceries back from Woolies for me (and occasionally, bottles of Lipton Ice Tea when they’re on sale, or 5KG bags of rice if that’s 50% off). It’s light enough to not care about when I’m just walking about town, but also has enough space for a few things that I might pick up here and there. Before my US trip, I was seriously considering picking up a Goruck GR1. 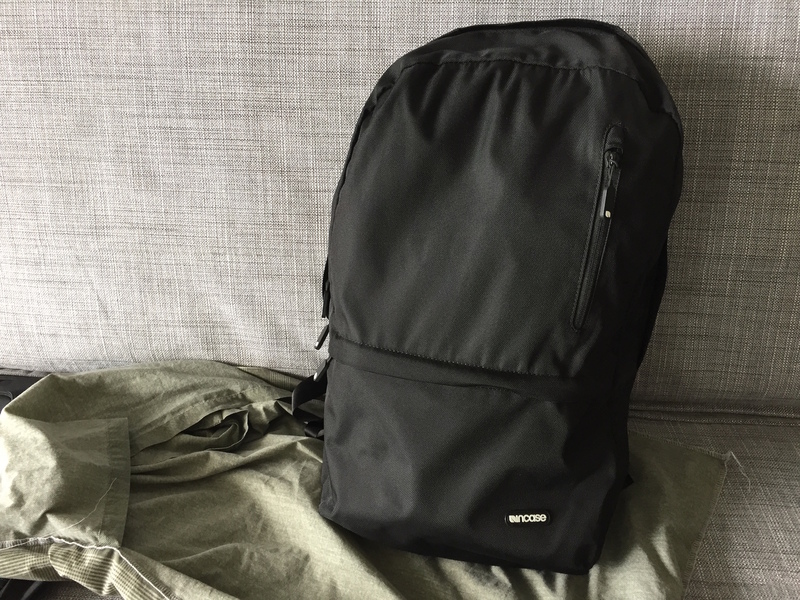 I’ve lusted after one for a long time, but with the Aussie dollar not trading for as much USD as it used to, $295 is a lot to buy a backpack sight-unseen, even if there are many reviews online and even if it is made in the USA. I investigated going to the Tom Bihn factory in Seattle while I was there, but unfortunately it was closed during the time I was in the US — or something along those lines, I can’t remember exactly. I ended up taking my Incase Campus to the US, and honestly, it was fine. I always think about how much extra space I could have had if I did have something bigger, but then I think about how nice it is to have a light backpack that I can ignore the weight of. It’s a tradeoff, but one I’m happy to compromise on — at least until I can afford something like the Minaal Daily, or the Outlier Ultrahigh Quadzip. I mean, have you seen the Ultrahigh Quadzip? Damn, son.